Google Maps has been updated with a range of new features in India last year. The Maps app has received several features in the last few months like auto-rickshaw mode, estimated ride fare information, suggested routes and more. 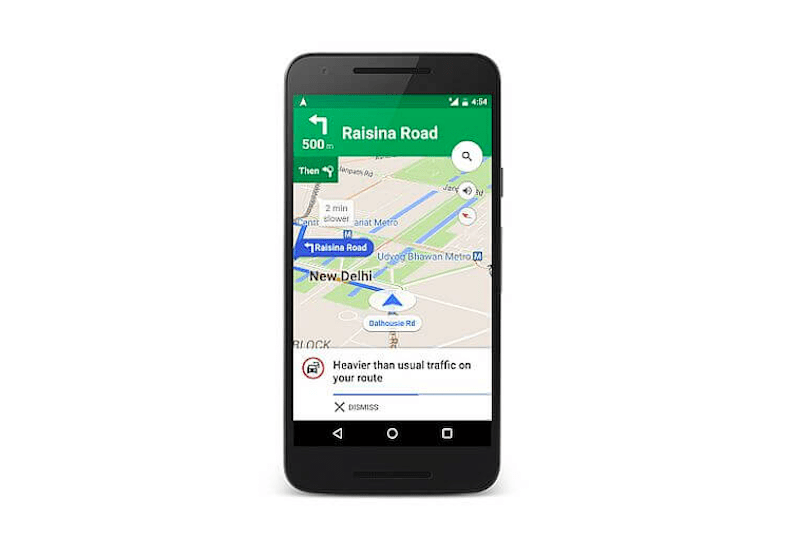 Google Maps is now getting a new feature that will show the departure or arrival time for car navigation. This will basically enable users to reach office on time. The estimated departure and arrival time feature was already available for the public transport users in India on Google Maps. The exact same feature is coming to car owners now. Notably, this new departure and arrival time of car navigation was already available for the public transport section like busses, cabs, and others. Now the same feature will be able for personal cars. This will help users plan their journey prior to their travelling and reach their destination on time without any delay. This new feature for Google Maps is currently available only for the Android users. Until now, the departure or arrival time feature was available for public transport in India. It let users know the destination arrival time which otherwise helped them to plan the travel accordingly with some time in hand. The same feature is coming to cars as a navigation option. So if you commute by your personal car, it’s time for you to rejoice. The Google Maps now shows the ‘Set depart and arrive time’ option for the Android users. Feature. This Set depart and arrive time option will now enable car users to set the departure time, the date and also the estimated arrival time at the destination. After setting the departure and arrival timing, Google Maps will alert the users on time they will take to reach their destination. This Set depart and arrive time feature will also let users plan their departure accordingly. This will also enable the users not to get late and know when they will reach their destination before their journey. The feature comes with the latest version of Google Maps. As reported by Gadgets 360 the Set depart and arrive time feature was available in versions like – v10.8.0, v10.7.1, and v10.6.2 beta. The Set depart and arrive time option is available under the ‘Menu’ icon at the top-right corner of the Google Maps app. Notably, on setting the destination arrival Maps will not send a notification to the users on when to leave to reach on time. This comes as a drawback as one would expect a suggestion on when to leave to arrive on time. Another problem with this feature is that it doesn’t provide information regarding the traffic jams which might alter the destination arrival time.